The gold deposit scheme has monetised only 400 grams of gold so far, while another gold bond scheme, which ends today is likely to gross around Rs 150 crore, said reports. The Indian government's move to bring out over 22,000 tonnes of Rs 50 lakh crore worth gold lying idle with Indian households and institutions through gold monetisation schemes (GMEs) has met with an unexpected tepid response in the initial phase. In the gold deposit scheme , only 400 gm of gold has been monetised so far, according to various reports quoting official sources. Another gold bond scheme , which started on November 5, with an offer of 2.75 per cent interest to buyers, will end today. This scheme is likely to gross around Rs 150 crore, said reports. The GMEs' objective is to mobilise the gold held by households and institutions in the country to provide a fillip to the gems and jewellery sector by making gold available as raw material on loan from the banks and to reduce reliance on import of gold over time to meet the domestic demand. India is no longer a major producer of gold and over 600 tonnes of gold are required to make jewellery every year in the country, according to statistics from the World Gold Council. While bankers and industry sources give reasons like inadequate preparation time to launch the schemes, roping in of adequate testing centres and lack of publicity as reasons for the dull response, industry observers point out there are many flaws in the scheme that deter people having idle gold in their vaults to go for the scheme. 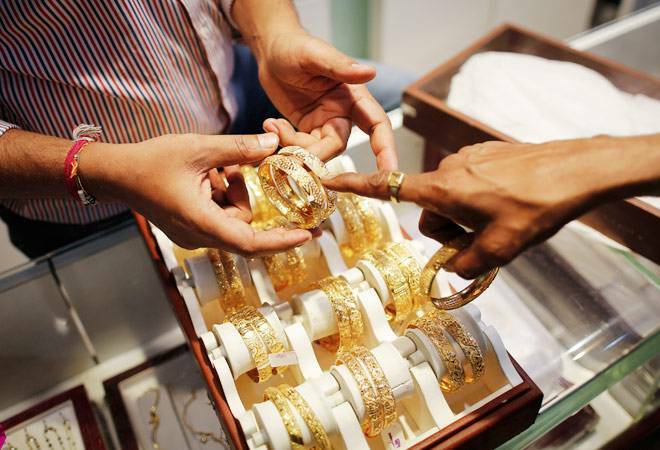 Sources point out that a lion's share of the gold in India is in the form of jewellery in households and the gold monetisation scheme demands melting of the jewellery to monetise through the gold deposit scheme with banks. As per the government's scheme, the customer first has to take the gold to the approved hallmarking centres for purity testing and should give consent for melting the gold to test for purity and quantity certification. The banks will consider only the pure melted gold and not ornaments for opening a 'Gold Saving Account'. If a customer deposits 100 gm of gold and gets 1 per cent interest, then, on maturity of a minimum one year he will have a credit of 101 gm. On maturity, the customer can take back the gold or claim money. They point out gold jewellery has a big emotional connect, especially with women. In states like Kerala and Tamil Nadu, where over half the jewellery sales are happening, traditionally jewellery is handed over from generation to generation. The cultural affinity and sentimental value of gold would be a decisive factor in making the gold monetisation schemes a success. "Gold ornaments have an emotional connect apart from their cash value and often they comprise ancestral wealth which people do not want to lose", says VP Nandakumar, CEO and Managing Director of Manappuram Finance. "Though jewellery is valued as an asset, is not seen as any other financial instrument to make profits," notes an industry analyst. A UBS research report, which had predicted the current GME scheme potential to perform better than the previous initiatives based on a survey, had said it would take some time for the scheme to gain traction, especially among rural areas.